Fiona Krüger | 34'300 € Tax inc. 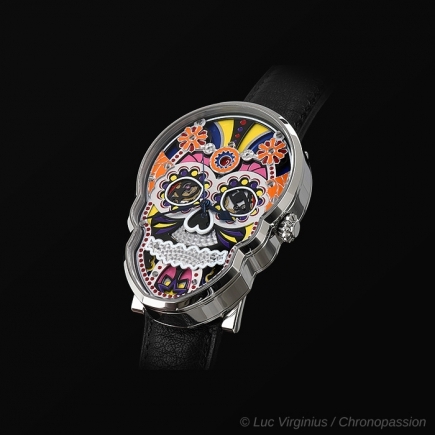 The Skull is the ultimate symbol of life, death and human experience – as such it has played a key role in both Horological History and Art History. 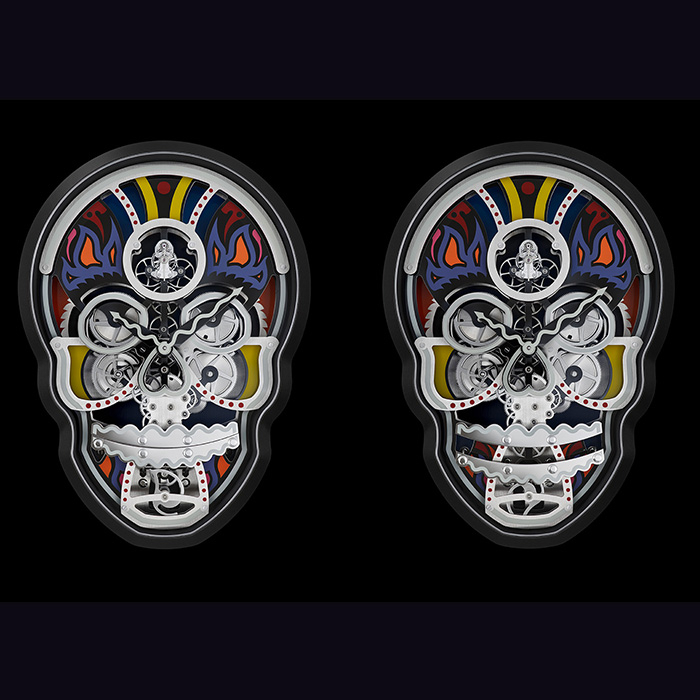 Through Fiona Krüger’s artistic approach to Haute Horlogerie and L’Epée’s know-how, the Skull has been re-interpreted into a mechanical Vanitas painting for the 21st Century. Quick history lesson: A Vanitas is a still life artwork which includes various symbolic objects to remind the viewer of the transience of life. This was an important and popular genre of painting in the 1600s and include symbols like skulls and extinguished candles. Vanitas is engineered and crafted by L’Epée 1839, Switzerland’s specialised high-end clock manufacturer, found- ed in 1839. This charismatic cranium reminds you to celebrate life. The hours and minutes are shown by the clock’s hands, and a power reserve indicator is integrated into the mouth of the skull. As Vanitas loses power it starts to yawn, indicating it needs to be wound up. Though with a 35-day power-reserve, this monthly ritual will give you a moment to stop and take stock of the time you have. Fiona’s Fine Art and Design training, combined with her international upbringing are apparent in the design of this mechanical symbol. Having spent part of her childhood in Mexico City her vivid memories of the Dia de los Muertos festival have influenced her own skull collection and this latest collaboration with L’Epée. This mechanical Vanitas is rich in symbolism but also in humour. The bridges of the clock are intricately detailed, designed to build up into a pattern which ultimately forms this ornate skull. 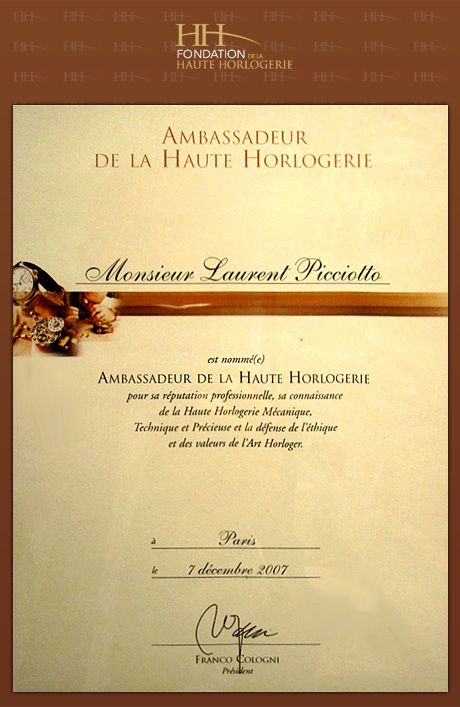 Creativity is at the heart of both L’Epée 1839 and Fiona Krüger Timepieces. The challenge was really to create this modern-day Vanitas with a humorous twist. The new “yawning” power reserve indicator required a whole new development and re-engineering of the clock movement. It is a marriage between fantasy and purpose, which is at the core of the collaboration. The ideas of life, time and mortality are synonymous and even more relevant in mechanical clock-making today than they have ever been. 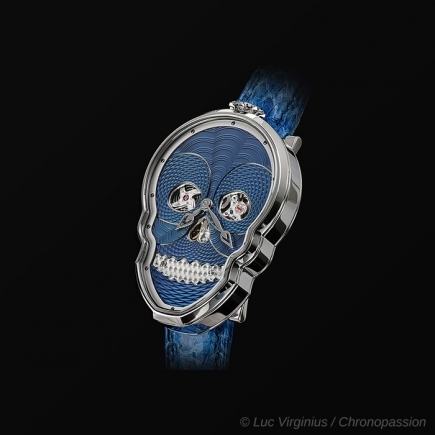 The unique design of the Skull imitating yawning as the power reserve depletes, joined with the ability to bring the clock to life as its wound up, reflects the history of clock making where fantasy, creativity and purpose were all incorporated in equal measure to create designs which made people dream. 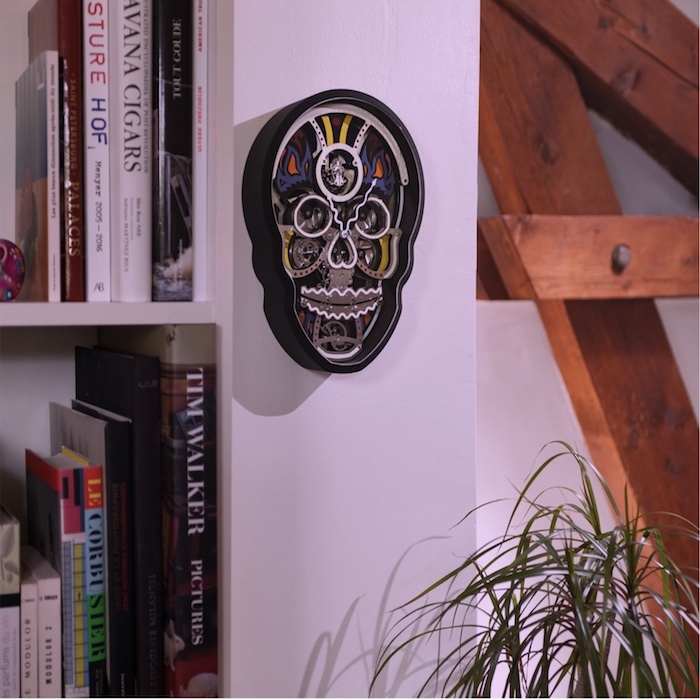 Vanitas is limited to 50 pieces per configuration and is now available in ‘dark’ and colourful editions. Mechanism in palladium-coated brass Movement Main plates in black PVD coated brass Multi-layered screen printed white decoration (gloss ink).